Have you ever heard a “motivator” like this...? The reason to act is a benefit far off into the future: short-term sacrifice for no immediate gain. I think about motivation all the time. When it’s high, I’m like a car equipped with GPS, snow tires, and four-wheel drive – I can overcome the harshest weather conditions and perilous roads. When my motivation is low, I’m the same car stuck in a ditch on the side of the road without gas. And my phone is out of battery! That’s where this article comes in. I’ve tried to write a motivation how-to-guide based on my experience, my conversations with diaTribe advisors, and many books. It starts with key questions to ask yourself, shares proven tactics for building and sustaining motivation, and identifies key motivation mistakes. I also share my personal motivators, in case they are useful. Please let me know what you think via Twitter or email – hearing from readers makes my day! 1. What is my purpose? Why is managing my blood sugar, eating healthier, or exercising important to me now? We all need a compelling reason to build motivation – otherwise, all the hard work won’t seem worth it. The ideal answer to this question is specific and short-term! For instance, does diabetes affect my mood, relationships with others, ability to do things that make me happy, or other areas of my life that are important? I am motivated to _____ now because ________. How would life be different if I ________. Review this statement often: a post-it on the bathroom mirror, the background on a computer screen or phone, etc. It’s a great pick-me-up when motivation wanes. 2. On days when I am incredibly motivated to manage my diabetes, eat well, or exercise, what are the biggest factors driving that? Challenges, barriers, and setbacks can obscure my vision, but the good days are even more important – that way I can replicate them! Me: I would need to _____. (For example, “find someone to walk with me after work”). 4. Is my environment crushing my motivation? What can I change to make the desired behavior easier? Surroundings have a massive impact on behavior, often overshadowing the most fervent motivation. The challenge is recognizing what is holding things back – sometimes it’s big and obvious (weather), while sometimes it’s small and barely noticeable (storing food on the counter vs. in a cabinet). Evaluate: What is my goal and what are the key barriers? See questions above. Experiment: What changes can I make to my environment to make the desired behavior easier? For example, stop buying certain foods so they are not in the house; use smaller plates or eat with chopsticks; obtain duplicate glucose meters so there is always one nearby to test; get exercise clothes ready the night before; don't eat food directly out of containers, etc. The important thing is to try lots of different experiments – everyone’s environment is different! I’ve seen different people use the following tactics effectively, but there is a lot of variance – not all of these may work for you. 1. What is the absolute smallest step I can take right now to improve things? Think tiny and specific – what can be done in the next five minutes? When I consider the magnitude of a big goal, the thought process can be truly de-motivating. Focusing on the immediate next step – even when it is small – is often enough to boost my motivation, and from there, it can snowball! A journey of a thousand miles begins with a single step. Just. One. Step. Examples: Eat one extra vegetable at my upcoming meal; go for a walk around the block right now; test my blood sugar one extra time today; floss one tooth today; make an appointment with my doctor. Make the goal easier or more near-term. If a goal is too lofty, it can be hard for me to even start, or the payoff for hard work can feel too far away. Measure! Sometimes, it’s hard to see progress when I’m not objectively monitoring it. I may be making inches of progress each day, but if the goal is 10 miles, it’s going to be hard to see. Monitoring can take the form of a device, an app, handwritten data, or even the watchful eye of a partner or a friend. Choose actions that can really make a difference. It might be that a selected action is doable (e.g., drinking more water every day), but won’t really have the desired impact (e.g., better blood sugars). Ask, "Are my actions serving the larger goal?" Try a different approach. Zero progress could mean I’m simply going about things the wrong way. There are many ways to achieve a goal; what else can I try? Sometimes it’s adding something (an extra walk after work), or taking something away (one less restaurant meal each week), learning something new (how to sleep better), or reaching out for help. What can someone start or stop doing to help you, even in small ways? What does a loved one say that is super motivating and helpful? What is harmful or de-motivating? Those around me cannot read my mind – I must give clear and honest feedback! Can a friend or loved one help me eat more or less of certain foods? – e.g., when I see my best blood sugars (ideally 80-140 mg/dl) 90 minutes after a meal, what did I eat? When I see higher blood sugars (over 200 mg/dl), can someone help me eat less of those things? 4. What kind of goals get me fired up? A well-phrased goal can add turbo boosters to my engine, while the wrong one can clog it up. Be SMART: Behavior experts talk about setting SMART goals that are Specific, Measurable, Achievable, Results-focused, and Time-bound. See this helpful guide from the University of Virginia on setting SMART goals. Process goals: I’m also a big fan of process goals, which focus on the interim step of doing something rather than the outcome. For example, checking blood sugar before and after every meal or riding my bike three times every week. Focusing on the process can ensure the larger goal is served (e.g., better blood sugars), but with less pressure to hit an outcome. Moderation vs. abstinence goals: One alcoholic drink per week on Saturdays (moderation) vs. no more alcohol (abstinence). Some people do better when they have a little wiggle room, while others excel with strict avoidance. Abstinence works best for me when it comes to food, though I know many who are the opposite! 5. Have I built in rewards? We all need sticker charts! The right rewards can be powerful motivators, and it’s okay to celebrate small gains. Just make sure the rewards don’t conflict with the larger goal – e.g., a buffet meal when the goal is weight loss. 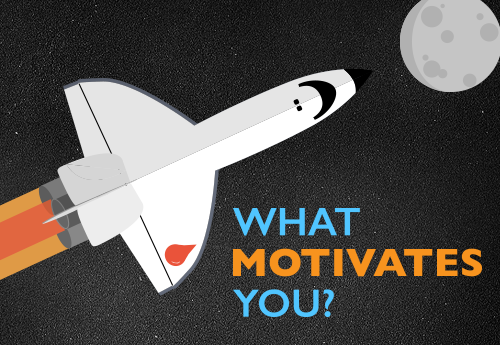 What kind of reward would fire me up and pull motivation through on the toughest days? I’m a big fan of experiences as rewards – a place I’ve been wanting to visit, a dinner with loved ones, etc. Check your blood sugar more often or wear CGM (Dexcom, Medtronic); if you’re in the EU, you can also use FreeStyle Libre. Answer the first two questions in my diet commandments column from March (what foods keep your blood sugar in range, and what foods throw it out of whack?). Try wearing an activity tracker or using an exercise app (I’m a huge fan of Fitbit and Strava because they are easy to use, give frequent data, allow easy goal setting, and let you know when you’ve achieved a personal best). Try a Wifi-enabled scale (Aria, Withings). The key with motivation is to find what works for you, and it will take some experimentation. Give some of the tactics above a try, think of your own, or ask your healthcare team to help you brainstorm! As for me, teenage Adam was definitely the car on the side of the road without gas and a dead phone (Nokia brick!) – my diabetes motivation was miles from where it is today. Why? Those pesky, vague, long-term motivators didn’t help. 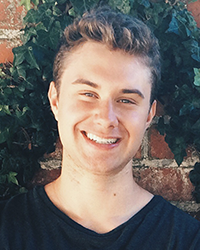 It wasn’t until college that things clicked – I connected the rewards from hard work to near-term benefits, I got on CGM when I began working at diaTribe, and I learned more about nutrition and diabetes. When my blood sugar is in range, I’m a nicer, more patient person; I have more energy to do things that make me happy; I smile more and am less stressed; I sleep better; and I can think more clearly (and thus, help more people through better quality work at diaTribe and Close Concerns). Reminding myself that blood sugar values are neutral information and not judgments on my performance. What can I do right now to improve this number? (Instead of, “How could I be so lame and eat that!”). Admittedly, this one can be hard to do in the heat of the moment! Remembering that diabetes is still effectively a death sentence in many places in the world. I’m incredibly lucky to have access to diabetes tools and resources; failing to take advantage of them would be disrespectful to those who don’t have access. Wearing CGM – seeing the real-time glucose data after a meal has dramatically changed my food choices. Thinking about how a food is going to make me feel (positive or negative) after I eat it. Clarifying my personal diet commandments and the foods that work for me. Remembering how much happier and less stressed I will feel when I’m done. Using Fitbit and Strava, and having friends that also use them. Living in San Francisco, which is walkable, bikeable, and has year-round good weather. (I don’t take this for granted for a second! Though even growing up in suburban New Jersey, I found ways to be active given environmental constraints). 1. Go beyond fear or financial rewards. These carrot-and-stick approaches (as author Dan Pink calls them in his brilliant book Drive) narrow the brain’s scope and focus. They are effective when the task is super clear, like leaving a burning building or stacking boxes. But fear and cash rewards typically work poorly as a motivational mechanism when people need to have a wider focus (e.g., coming up with new ideas). Managing diabetes, eating well, and exercising often require exactly that kind of expansive view, which makes these strategies ill suited for motivation. See Dan Pink’s compelling TED talk to learn even more from him! 2. Education and knowledge are terrific, but they won’t solve everything. Getting smarter about a topic is an effective motivator in many cases, but it’s not the only factor needed. Even the best learner may struggle to exercise or eat well if the environment is not right, or if the steps to take are too vague or daunting. Example: 42 million Americans (18%) still smoke cigarettes despite widespread educational efforts that smoking is bad for health (and 50 years of Surgeon General warnings!). Education and public awareness are clearly important – in 1965, 42% of the population smoked, compared to 18% today – but they are not the only factor that matters. 3. Assuming what works for me will automatically work for someone else. In my experience with activity tracking devices and apps, some friends love them, while others try them for a day and never use them again. Why? It comes back to this article’s central thesis – each of us must do our own motivation experiments! What motivates you? Please let me know! Switch by Chip and Dan Heath – A compelling read on hitting the three necessary factors to change any behavior: intellect, emotion, and environment. Drive by Dan Pink – Drive is business-focused, and makes a compelling case that intrinsic motivation is what matters (autonomy, mastery, and purpose). The Power of Habit by Charles Duhigg – A story-filled exploration of how habits work: cue, routine, reward. It’s great on audiobook! Nudge by Richard Thaler and Cass Sunstein – How small changes in the environment can make a big difference. Postscript: A special thanks to experts Dr. Korey Hood, Dr. Bill Polonsky, Ms. Virginia Valentine, Ms. Hope Warshaw, Dr. Jill Weissberg-Benchell, and Ms. Gloria Yee, who gave me guidance on the first draft of this piece. We’re so lucky at diaTribe to have an outstanding Advisory Board and I benefited from so many of them this month!